Perhaps, James Bond lives in everyman's heart. Since the first 007 movie Dr. No was brought to screen in 1962, there are 24 James Bond 007 series movies in 53 years till now. And the latest 007 movie is named Spectre, which also tells the story of James Bond, but with new plot. Since it was released on November 6, 2015, it holds firm at top of US box office and received $35.4m box office in North American, while it is still raising. If you plan to watch this (maybe the hottest) Spectre 007 movie, you will find this article quite useful. This article shows you the plot and reviews of Spectre as well as introduces several ways to enjoy this 2015 James Bond 007 movie. Plot: A cryptic message from the past leads James Bond (Daniel Craig) to Mexico City and Rome, where he meets the beautiful widow (Monica Bellucci) of an infamous criminal. 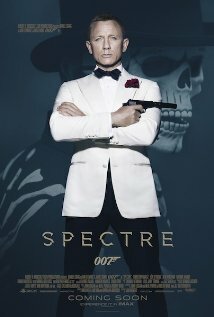 After infiltrating a secret meeting, 007 uncovers the existence of the sinister organization SPECTRE. Needing the help of the daughter of an old nemesis, he embarks on a mission to find her. As Bond ventures toward the heart of SPECTRE, he discovers a chilling connection between himself and the enemy (Christoph Waltz) he seeks. The high box office not always means the good word of mouth. For the latest James Bond 007 series movie Spectre, it has received positive reviews and negative reviews. We have selected some for your reference. 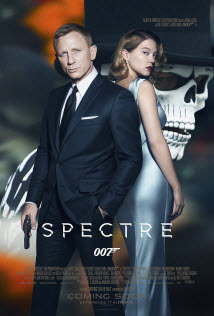 No matter you are 007 movie fan or not, it is still worthy of watching this popular Spectre movie. There are several ways to watch James Bond 007 movie Spectre. Here lists some to help you enjoy the movie. The movie Spectre was released on November 6 and it is still live in the cinema. You can buy a ticket and choose a good seat to watch it in the cinema. You can already pre-order the latest James Bond film, Spectre, just a few days after its U.S. theatrical debut. The pre-order price of Spectre is $19.99. Please note that you can only watch iTunes movie Spectre on Apple devices. You will need M4VGear DRM Media Converter to remove DRM and help watching iTunes movies on Samsung smart phones, tablets, PS4, Xbox or your non-Apple devices. This iTunes M4V Converter can retain all audio tracks and subtitles of original iTunes video with lossless quality after conversion. You can also purchase James Bond film Spectre in Amazon, which also provides the pre-order. The HD version costs $19.99, and the SD version costs $17.99. If you purhcase Spectre in iTunes and converted it with M4VGear, you can find the converted movie on your computer and transfer it to TV by copying it to USB devices, if your TV supports USB port. Or you can also stream the converted Spectre movie to TV via Chromecast / Roku / Plex. Tell us your review on Spectre, do you like this latest James Bond 007 movie? And how you enjoy Spectre except for the ways (Cinema, iTunes, Amazon, TV) mentioned above? How to Watch iTunes Movies on Big-screen TV?